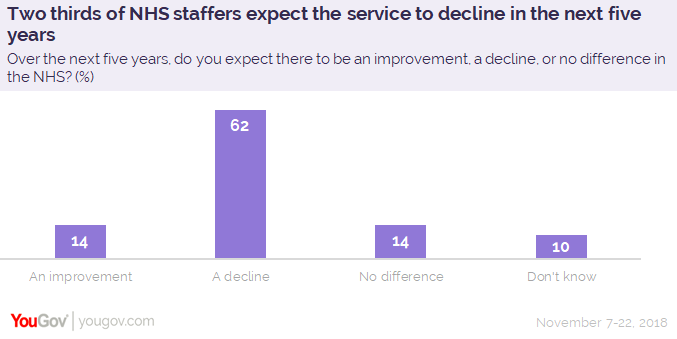 December 11, 2018, 11:49 a.m.
A new YouGov survey of healthcare professionals working in the public sector shows that two thirds (62%) expect the service to decline in the next five years. Just one in six (14%) expect an improvement. One in six (18%) feel the new NHS budget announced last month will make ‘some’ difference to the service. Half (52%) say it will make ‘very little’ difference, and one in five (21%) think it will have no effect at all. Nonetheless, nearly six in ten NHS healthcare professionals say they’re confident about the health service at present, with one in six (13%) feeling ‘very’ confident. A third (29%) say they’re ‘not very confident’ in the NHS, while one in eleven (9%) claim to have no confidence at all in the organisation. 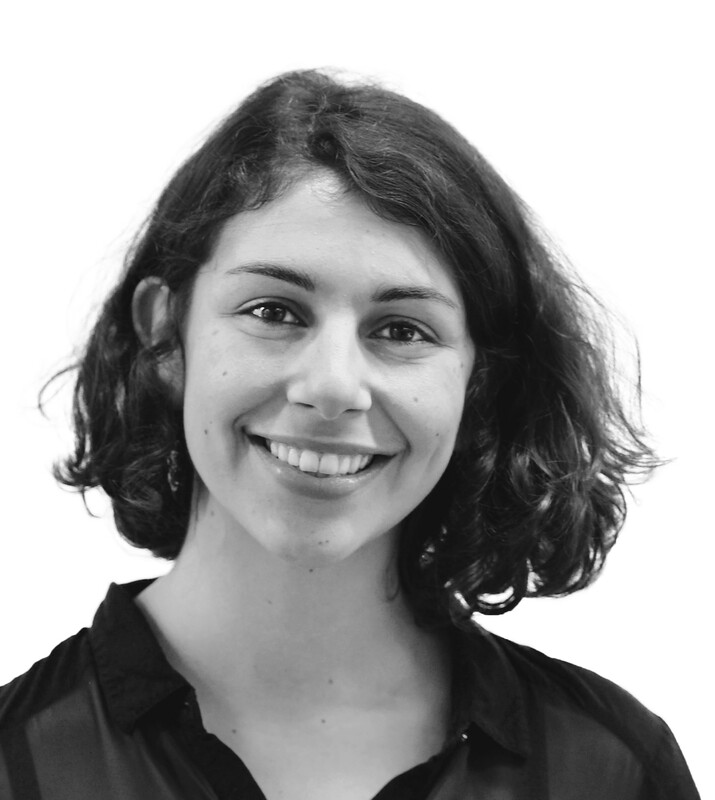 Younger healthcare professionals are slightly more confident in the NHS than older colleagues, with two thirds (69%) of those aged 18 to 34 saying they feel confident in its current state compared to just over half (55%) of those aged 55 and above. Staff in hospitals have a slightly more positive outlook than those working at GP surgeries, with the former more likely to be confident in the NHS overall (63% compared to 54%) and less likely to say they’re not confident (38% compared to 45%). Despite the majority expecting the NHS to decline in coming years, YouGov’s research demonstrates most NHS professionals are intent on staying within the public sector. 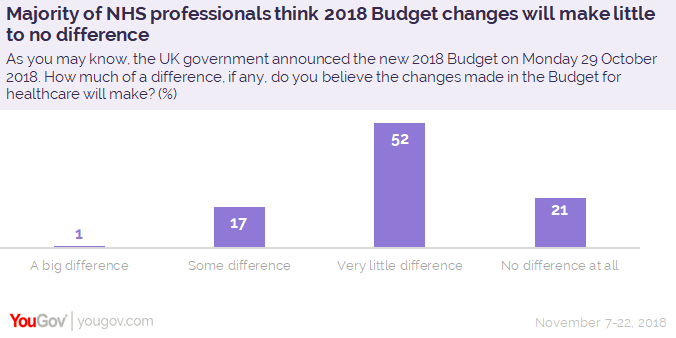 Just one in twenty (2%) say it’s ‘very likely’ they would consider switching into private sector at some point in their career, with another one in twelve (8%) saying it’s ‘fairly likely’. A quarter (25%) say it’s ‘not very likely’ they would make such a move, with the biggest group (45%) claiming it’s not likely at all. However, double the number of younger respondents said it’s likely they would switch to the private sector at some point, with nearly one in five (17%) of 18 to 34 year olds saying so, compared to just one in twenty (6%) of those aged 55 and above. GP surgery and health centre workers are more likely to rule out moving to the private sector than NHS hospital workers (77% vs 69% respectively).